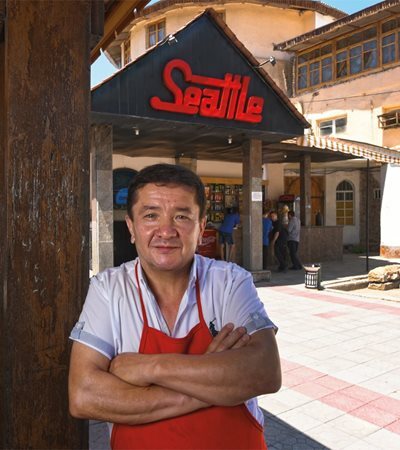 A painter freshens up the proudly prominent red sign proclaiming the Seattle Café, a restored granary that opened as a café in 1985, 12 years after Seattle and Tashkent became the first US-Soviet sister city pair. a busy, leafy boulevard that runs through the center of Tashkent, capital of the Central Asian country of Uzbekistan. Bold letters spell out the name in Uzbek, English and Russian, hinting that this popular restaurant serves more than just tasty Uzbek cuisine. It also offers a glimpse into a 43-year-old friendship between two cities whose differences are as great as the 10,100 kilometers and 13 time zones that separate them. The shaded patio in front of the café overlooks the Seattle-Tashkent Peace Park, built in 1988 and now known as Babur Park. Although only about a city block in size, the park is a symbolic heart of the two cities’ relationship. Central Asian pines grow alongside apricot, mulberry and wild plum trees fed by water trickling through narrow irrigation canals lined with square ceramic tiles, each hand-decorated 27 years ago mostly by schoolchildren in Seattle. Ten thousand of them trace the canals, ring tree encasements and decorate the park’s fountain. 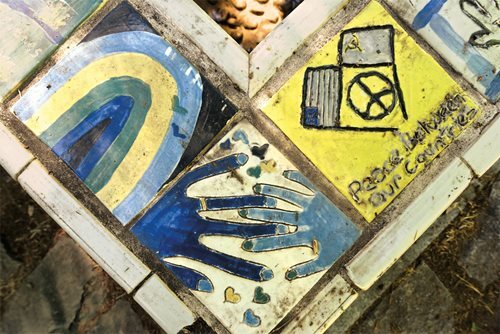 Many of the tiles are now cracked and their colors are fading, but their heartfelt messages of peace, cooperation and friendship remain vibrant. Situated across from the Seattle-Tashkent Peace Park, the café and its owner, Javon Nazarov, right, preserve both heart and history from more than 43 years of visitors, volunteers and delegations in scrapbooks, above. How Seattle, Washington, established a sister city relationship with then-Soviet Tashkent during the Cold War is a story that begins in 1971, 17 years before the park was built. It is a story of serendipity, courage, extraordinary citizen diplomacy and a bit of political intrigue. 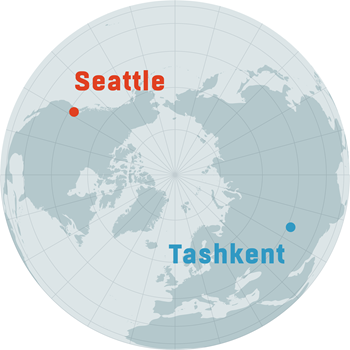 In August 1971, Alaska Airlines invited mayors from three of the larger Soviet cities—Tashkent, Irkutsk and Sochi—to visit its headquarters in Seattle as part of its quest to open new routes into the Soviet Union. “They asked me if I would come and join the mayors for dinner at the top of the Space Needle,” recalls Wes Uhlman, who was then mayor of Seattle. “I sat next to Mayor Husnitdin Asamov of Tashkent, who didn’t speak any English, but I spoke a little Russian, and we talked about continuing our relationship,” he says. When President Richard Nixon announced in March 1972 that he would take his first official trip to Moscow in May, Uhlman sent Asamov a letter formally suggesting Seattle and Tashkent establish the first us-Soviet sister city relationship. Although Nixon’s visit represented a culmination of détente, the thaw in Cold War us-Soviet relations that had begun in 1969, “tensions were still very high between our two countries,” notes Uhlman. He remembers also the incredulity of Seattle City Council members when he approached them with the idea. “They asked me, where in the world is Uzbekistan, and why should we get involved?” Uhlman recalls explaining how important it was to tone down angry rhetoric between the superpowers, and says the council was persuaded that a sister city relationship might contribute toward that. It wasn’t a hard sell, recalls Uhlman. “Our city has always been progressive.” In October 1972, Tashkent’s new mayor, Vahid Kazimov, agreed to Uhlman’s suggestion. “It will be a great honor for us to establish permanent friendly and business contacts with the city of Seattle,” wrote Kazimov. Uhlman soon discovered that city council skepticism was not the only official obstacle. “Our State Department discouraged these kinds of relationships because of all the tensions occurring on a macro level,” says Uhlman, whose request to form the sister city was quickly denied. He turned to a good friend, Washington Senator Warren Magnuson, who was serving as Chairman of the Senate Appropriations Committee that oversaw the State Department’s budget. Magnuson was well known for his progressive politics, and according to Uhlman, the Senator called Secretary of State William Rogers into his office, and “within a week we received our letter of approval,” he recalls, laughing. 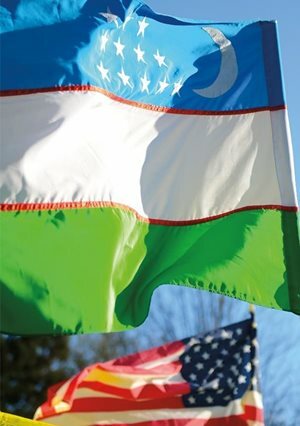 Creating the first us-Soviet sister city bond was courageous, asserts Seattleite Gary Furlong, currently the us Honorary Consul General of Uzbekistan to the Western United States and a former president of the Seattle-Tashkent Sister City Association (stsca). “I think it was inspiring, and for Seattle, it was really an opening to the world in a unique way. It was a positive and very high profile example,” he emphasizes. 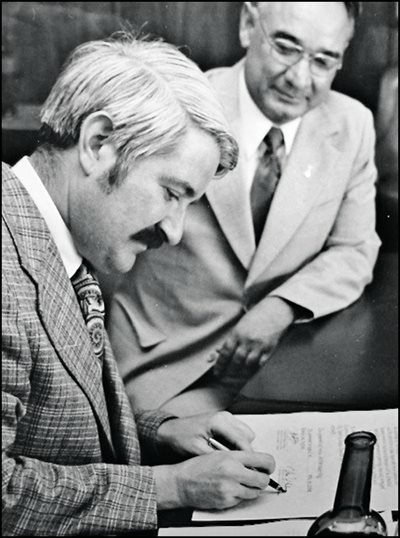 Above: At a ceremony in Seattle in 1973, Seattle Mayor Wes Uhlman put his signature on a sister city memorandum after Tashkent Mayor Vahid Kazimov, who looks on. Below: In 1989, the Hotel Uzbekistan in Tashkent welcomed a Seattle delegation in three languages: Uzbek, English and Russian. To Peterson, it was not surprising Seattle became the first us city to do this. “Seattle citizens pride themselves on being forward-looking, peace-loving and well educated about world issues,” he notes. 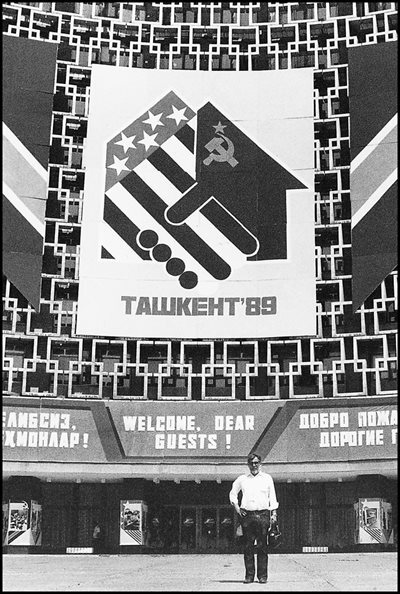 One of the most troubling and motivating issues at the time, and later into the 1980s, was the threat of nuclear warfare between the superpowers, and to Seattleites, a partnership with Tashkent was a good way to bring two countries closer, the better to work for peace. She replied with concern about the distance between the two cities as well as the vast cultural differences. When none of that seemed to matter, it became clear that her colleagues might be looking to plant seeds for an independent future. “They clearly wanted to have a place in the West where they could send their educated people whom they trusted with a view toward independence. They weren’t happy under the colonial rule of the Russians,” asserts Cirtautas. Neither Cirtautas nor her colleagues in Tashkent were aware that Mayors Uhlman and Kazimov were already discussing sister city relations. After learning in October that Tashkent had agreed, Cirtautas met with Uhlman to brief him about Uzbekistan. “I assured him that the native population is Uzbek, not Russian, and that they are wonderful, smiling people!” Perplexed by how quickly Moscow also approved the relationship, Cirtautas later discovered the simple answer when Kazimov told her the Soviets wanted commercial access to Seattle-based Boeing Company. 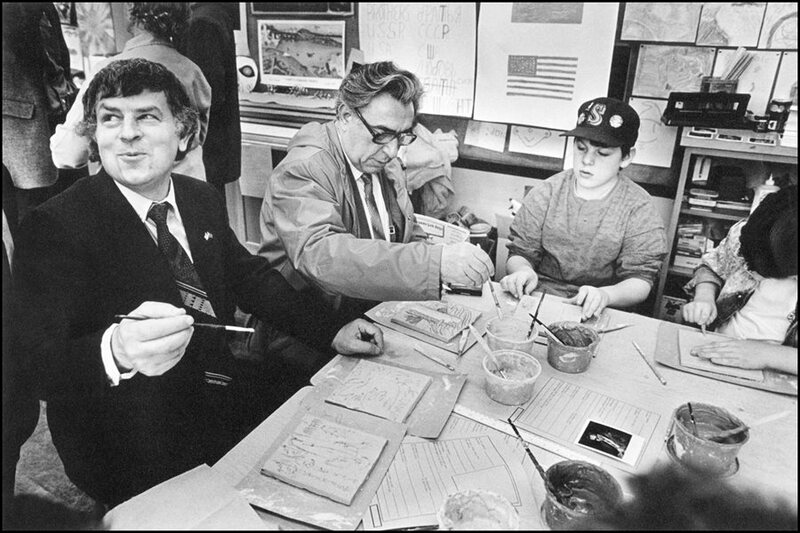 In April 1983, Mayor Kazimov and Tashkent officials hosted a delegation from Target Seattle, one of a number of people-to-people diplomacy efforts supported by the stsca. On September 11, 1956, us President Dwight D. Eisenhower launched Sister Cities International at the first White House conference on citizen diplomacy. His vision was a nonpartisan, nonprofit organization that could “promote peace through mutual respect, understanding and cooperation—one individual, one community at a time.” Citizen diplomacy, he said, would encourage an appreciation of different cultures, build cross-cultural relationships and reduce the chances of new global conflicts. The popularity and growth of Sister Cities International led to its reorganization in 1967 as an independent, non-governmental organization funded by private donations and corporate sponsorships. Every president since Eisenhower has served as its honorary chairman. Today, Sister Cities International focuses on arts and culture, youth and education, business and trade, and community development and technical exchange. Its ever-growing network links tens of thousands of volunteer “citizen diplomats” in approximately 545 us cities and towns with more than 2,100 partnerships in 145 countries on six continents. On January 23, 1973, the Seattle City Council passed its resolution adopting Tashkent as a sister city. In June of that year, Seattle Deputy Mayor John Chambers and Hugh Smith, a prominent businessman active in the Seattle Chamber of Commerce and chairman of the new stsca, signed the formal joint communiqué with Mayor Kazimov in Tashkent. With the strokes of two pens, two cities were united whose histories, cultures, religions, geographies and even climates could not have been more different. What both cities did have in common was a faith in the value of people-to-people diplomacy and a mutual longing for peaceful coexistence. During the early years of the relationship, it was all about getting to know each other. Uhlman took the first Seattle delegation to Tashkent in April 1974; in June Kazimov reciprocated with a delegation of government officials and academics, and they participated in the dedication of Tashkent Park near downtown Seattle. Later that year, Cirtautas established relations between Tashkent State University and the University of Washington, one of many academic connections she would facilitate over the years. Uhlman recalls that during those first visits, Soviet Uzbekistan was a closed society. “There was very little personal exposure to the rest of the world in Tashkent at that time,” he comments, adding that he believes that the new relationship helped Uzbeks do exactly what they intended it to do: open up a reevaluation of their relationship to the world. The spirit of friendship reached a peak in the summer of 1988, when more than 200 volunteers from Washington state and the Tashkent region joined to build the Seattle-Tashkent Peace Park, dedicated on September 12 that year. 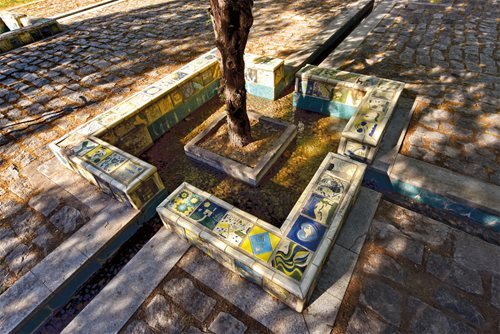 The centerpiece was a fountain and pool ringed by tiles, above and right, each one individually hand-painted in Seattle and carried to Tashkent. Many were made by students, such as those at the Orca-Day Elementary School, lower, who were joined in their effort by visiting Tashkent sculptor Yakov Shapiro and Tashkent city architect Leon Adamov. During the détente years of the ’70s, Furlong notes that “it was all about increasing understanding on our side, and for Tashkent, we were their main point of contact with the Western world…. Moscow opened the door to the West a tiny crack and the Uzbeks were brilliant at continuing to pry that crack open. The Uzbek side wanted to keep this going and worked very hard to make sure this continued,” he says, referring to Uzbek support for reciprocal delegations in the mid-1970s as well as their ability to maintain contact between the two cities even in the midst of recurrent political tensions. 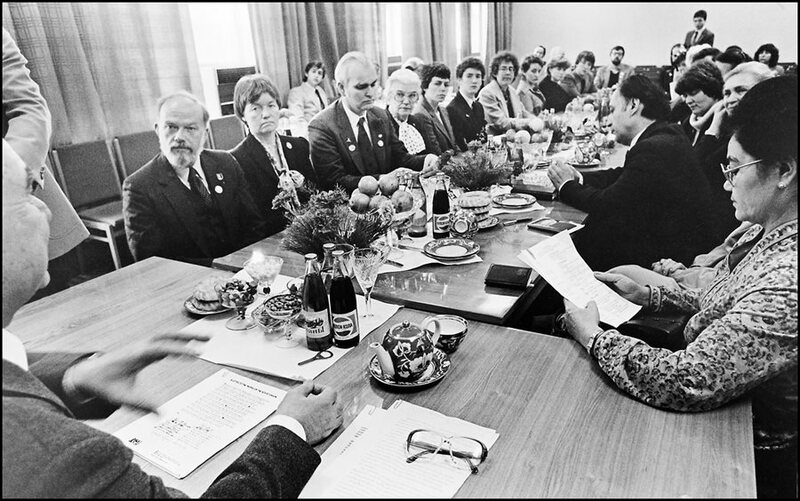 In 1985, Tashkent Mayor Shukurulla Mirsayidov tested Glasnost reforms of then-new Soviet Premier Mikhail Gorbachev by sending Seattle the largest Soviet sister city delegation to ever visit the us. 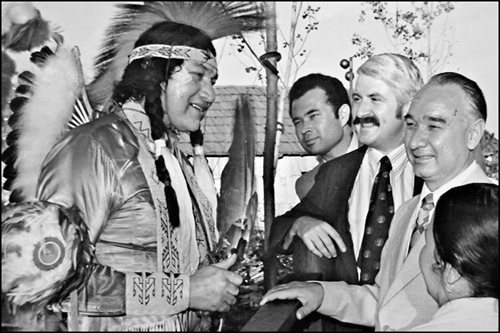 In 1974, a joint delegation led by Ulhman and Kazimov, above, visited Spokane Expo ‘74, where contact with native North American peoples, traditions and history proved especially meaningful among Uzbek visitors. 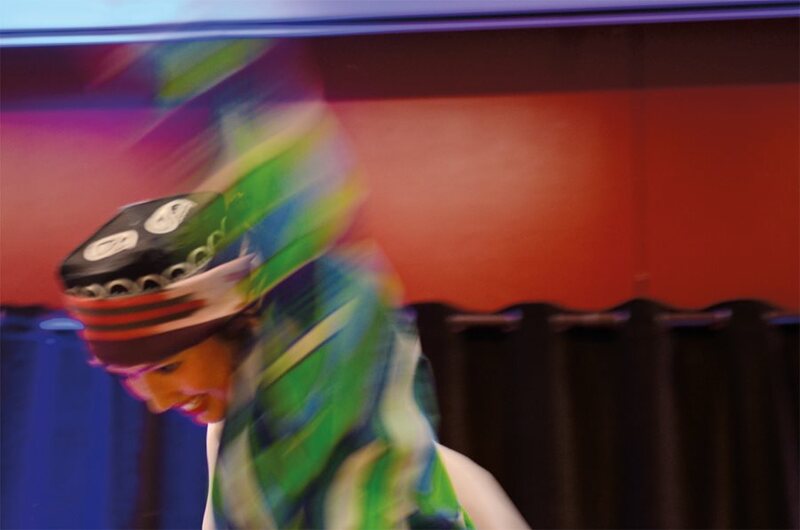 Although tiles made in 1988, left, showed Soviet and us flags, the flag of Uzbekistan, independent since 1991, appears, above right, with the us flag outside Seattle’s annual stsca-sponsored Navr’oz celebration, where, below, a traditional dancer performs. “What was fascinating about the Seattle-Tashkent Sister City Association is that the pre-independence years were amazing in terms of the breadth of exchanges,” comments Fred Lundahl, a current board member and retired diplomat whose last assignment was at the us embassy in Tashkent from 1997 to 2001. 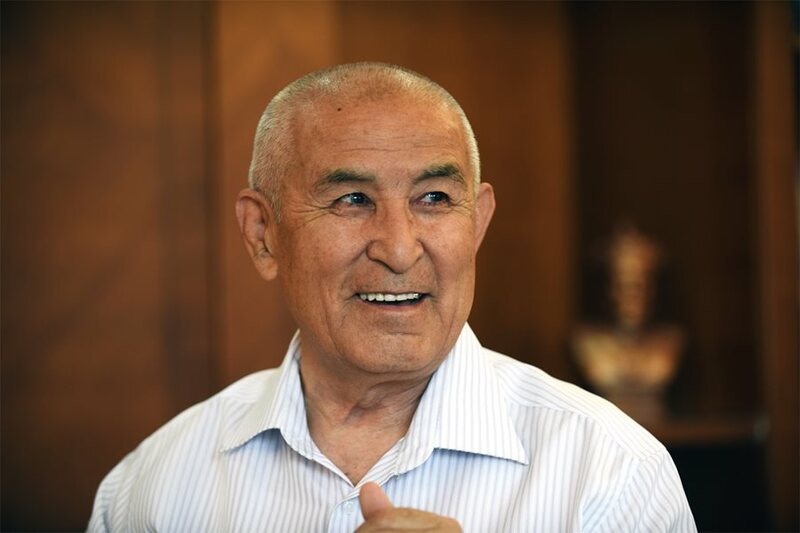 Leading Uzbek literary figures like Muhammad Ali Akhmedov, chairman of the Writers’ Union of Uzbekistan, began visiting Seattle’s University of Washington in the late 1980s, awakening interest in the Uzbek language and cementing ties with faculty and students. Mirsayidov’s 1985 visit and the hopeful tone of Glasnost unleashed conferences, cultural programs, exchanges and delegations, all in the years leading up to Uzbekistan’s independence in September 1991. It was a time of extraordinary “person-to-person citizen diplomacy” and cross-cultural education. 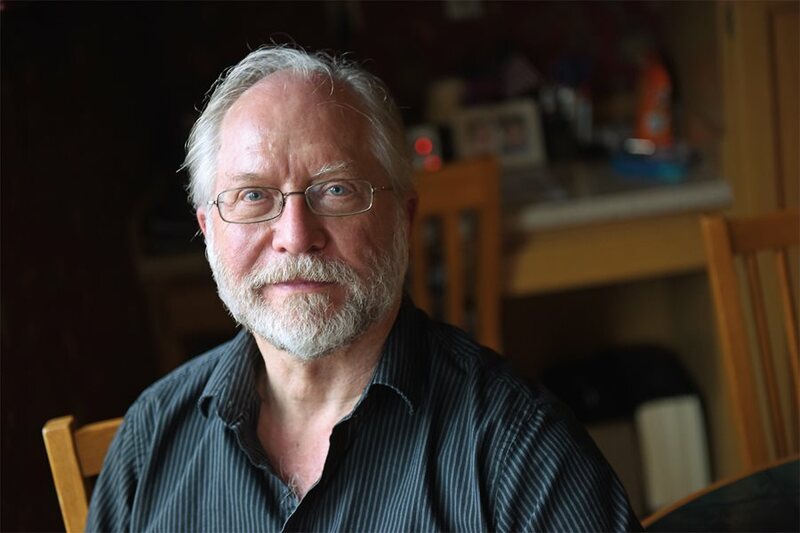 “There are literally thousands of people in Seattle who participated in these exchanges over the years in one way or another,” says Paul Natkin, a Seattle-based artist and certified Russian-language interpreter. Four decades later, Paul and many Seattle participants remember their experiences as if it were yesterday. 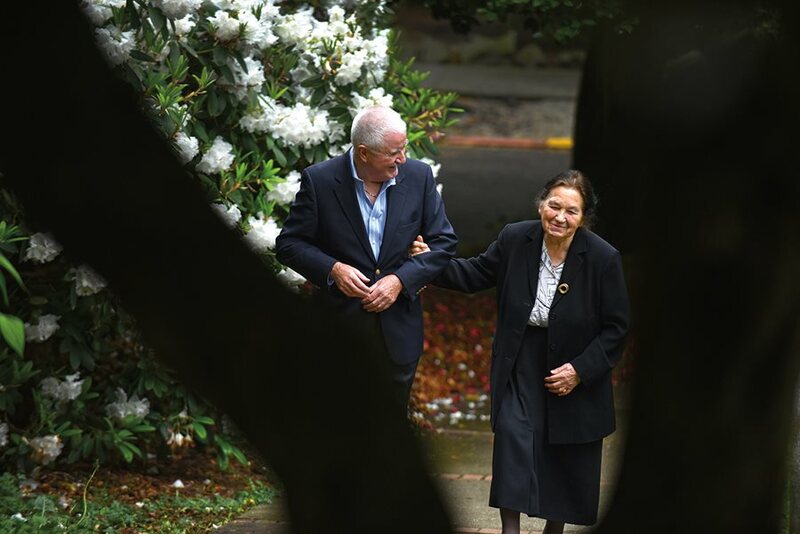 Ilse Cirtautas, University of Washington professor emeritus and founder of its Central Asian Studies Program, has led the development of the academic side of the Seattle-Tashkent sister city relationship from its earliest days, sponsoring dozens of exchanges and programs. A founding member of the stsca, she serves as its vice president. 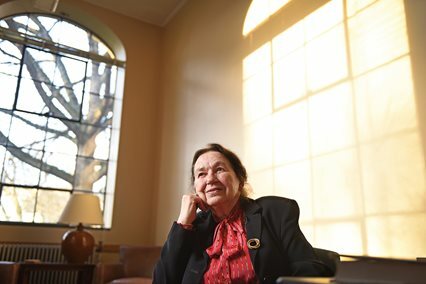 When University of Washington Professor Ilse Cirtautas took her first trip to Tashkent in May 1972, she surprised the young man who met her at the Tashkent Airport by greeting him in fluent Uzbek. 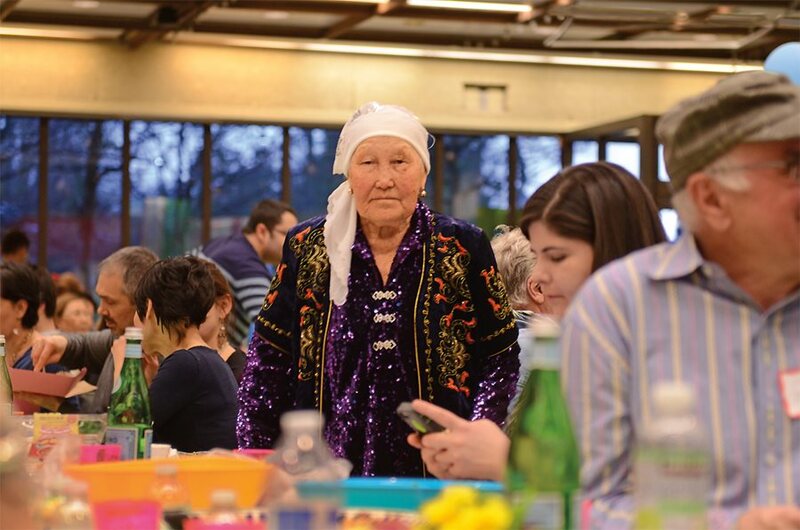 “He thought I was a native Uzbek returning home, because it was very unusual then for a foreigner to speak Uzbek,” says Cirtautas as she recalls how for the rest of her visit, she was treated like a fellow Uzbek. Cirtautas first found her love of the languages and cultures of the region while pursuing her doctorate in Turkology at the University of Hamburg in her native Germany, and in 1959 she moved to the us. In 1968, the renowned Turkic and Altaic language expert Nicholas Poppe invited Cirtautas to leave her position at Indiana University and join him at the Department of Near East Languages and Civilization at the University of Washington in Seattle. It was a fortuitous move. Academic book exchange agreements had been initiated by Poppe in the early 1960s between the University of Washington and major libraries in Central Asia, particularly Tashkent, and this gave Cirtautas introductions to fellow scholars in Uzbekistan. She immersed herself in the culture, history and language, and after 1972, she began to travel annually to Tashkent for conferences and research. Uzbek artists, scholars and authors such as Muhammad Ali Akhmedov, his nation’s most revered writer and current chairman of the Writers’ Union of Uzbekistan, were invited to participate in the annual Central Asian Languages and Culture Summer Programs that she created at the University of Washington in 1989. Recognized as a leading Turkologist and one of the first to study and teach Altaic languages in the United States, Cirtautas was the first appointed member of the stsca’s inaugural committee. Now well into her 80s, she has remained an active board member for the last 43 years. Natkin worked on several artist exchanges and exhibits. “Orchestrating these exchanges can be very hard,” he notes, “when you have systems and histories and structures that are so different. But learning to work with that is part of what makes the experience so important and valuable.” His involvement with the sister city, he adds, led to a lasting friendship with renowned Tashkent artist Marat Sadykov and his family. The last 1988 exchange involved 86 students and teachers from 10 different Seattle schools. On that trip, students lived with Uzbek families and went to school with their new friends for a week of complete immersion into a new and very different Muslim culture. The effects were overwhelming. “On the way home, the kids were crying, some of them even sobbing on the plane,” recalls Sasnett. “These kids’ lives were clearly changed, that’s how powerful an experience it was for them.” There were tears too from adults when it was time to leave Tashkent, adds Natkin, who participated in this trip. “It was a heady time then in Seattle,” recalls Frith Maier. “There were so many different exchanges that happened through the sister city initiative.” Now a 53-year-old serial entrepreneur, Maier was a recent college graduate when she proposed a mountaineering exchange to the stsca in 1987. Fluent in Russian and passionate about climbing, Maier was delighted when her proposal was accepted. She assembled a group of Washington climbers, and in August 1987 they flew to Tashkent, met their counterparts and tackled mountains in a part of the Pamir range where no foreigners had ever climbed before. While the stsca was organizing exchanges, at the University of Washington, Cirtautas was cementing relationships among Uzbek academics, poets and writers in Tashkent and her university in Seattle. As the first appointed member of the stsca in 1973, Cirtautas was critical to bringing it the university’s backing. “Having institutional support really helps sustain an organization like ours, and the University of Washington as well as the Jackson School of International Studies have been strong supporters for a long time,” comments Peterson. During the mid-to-late ’80s, Cirtautas facilitated student and faculty exchanges between the University of Washington and Tashkent State University (now the National University of Uzbekistan), and she organized symposia on Central Asian studies. In 1989, the creation of the Central Asian Languages and Culture Summer Programs gave her the opportunity to invite Uzbek poets and writers to Seattle. 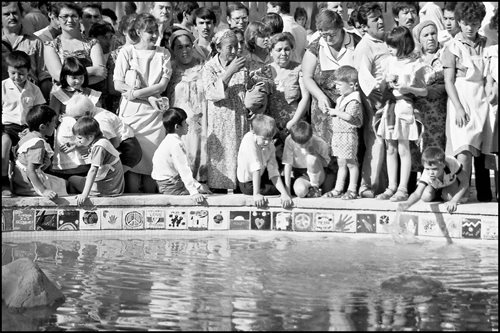 The sister city was one of Uzbekistan’s early initiatives to reach out beyond its Soviet orbit, and Tashkent’s lively street life today is in part one of the fruits of its many such efforts, which included more than 100 exchanges in dozens of fields both between 1974 and independence in 1991 and today, where the emphasis is more on technical and administrative exchanges. “Moscow opened the door to the West a tiny crack, and the Uzbeks were brilliant at continuing to pry that crack open,” notes us diplomat Gary Furlong. Among the more than 100 exchange programs, highlights include alpinists; art, music, photography and cinematography exchanges; a United Nations heritage ceramic artist; a chef exchange; dance, puppet theater and children’s theater exchanges; dentists and physicians as well as paired hospital exchanges; middle and high school student and teacher exchanges; trade and business exchanges; university department exchanges; orphanage support; book and computer deliveries cargoed on Boeing delivery flights; visits by Uzbek poets and writers; and even a zoo exchange. Hopstein befriended one of the volunteers, Seattle software engineer Bruce Haley, and he remembers how rewarding it was to be in Tashkent not as a tourist but as someone who was working on a project intended to strengthen ties between two countries. “It allowed me to have a much deeper connection with the people there,” emphasizes Haley, who remained friends with Hopstein after she and her family immigrated to the us in 1990. Since Silk Road times, Tashkent has thrived as a commercial hub for both industries and crafts, including textiles, here still woven by hand in the historic Yodgorlik factory in Margilan City, southeast of Tashkent. Below: Roots of the sisterhood lay also in air travel: In the ‘70s, Alaska Airlines sought regular routes into the Soviet Union, and the Soviets, notes Cirtautas, wanted commercial access to Seattle-based Boeing Company—a desire that came to fruition mainly after independence, when Uzbek Airways acquired an all-Boeing fleet. The first 767, delivered in 2004, Cirtautas recalls, arrived loaded with books and other donations. Nazarov was managing the Seattle Café when the first park volunteers arrived. He had helped renovate the building, once a historic granary dating back to the mid-1800s, which was then given its name in 1985 by Mayor Mirsayidov. “The volunteers did their jobs and I fed them. We became friends.” Sitting at a table in the café’s patio overlooking the park one afternoon, he slowly leafs through albums full of pictures, newspaper clippings, postcards and handwritten notes he has collected since that summer, smiling when he comes across faces he still clearly remembers. Now renamed Bobur Bo’gi (Babur Park), the Seattle-Tashkent Peace Park occupies about two blocks of land, providing a shady oasis for art students, above. “The park is the most visible reminder of our city in the middle of Tashkent,” says Peterson. 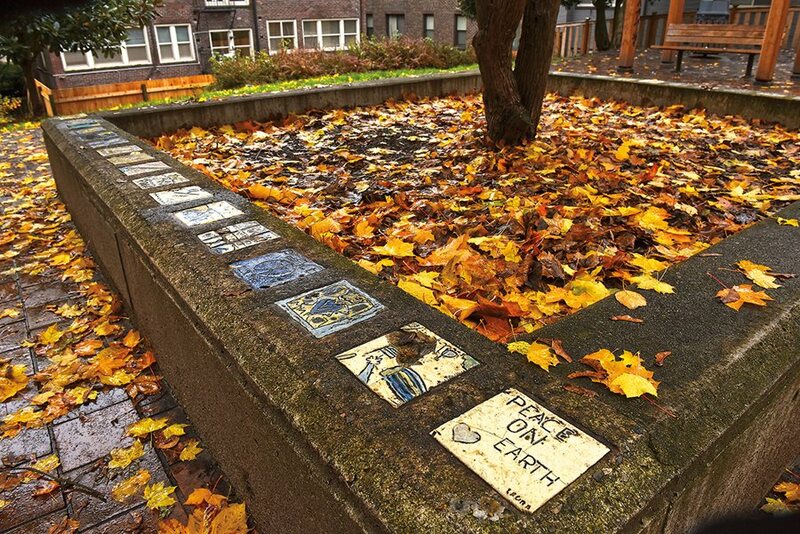 Right: The tiled “Earth Mound” connects irrigation channels that water the park’s fruit trees, lower left, protected by square pools decorated with the handmade tiles from Seattle. Below, right: Ilhom Miliyev is a long-standing member of the Seattle association in Tashkent and a 2002 Hubert Humphrey Fellow. “My involvement has really changed my life and made it more meaningful,” he explains. “I am helping to strengthen relations between Tashkent and Seattle and improve friendships between American and Uzbek citizens.” He drops by the park regularly to check on its upkeep. When Uzbekistan became independent in December 1991, Tashkent turned to its trusted friends in Seattle for advice. Exchange programs continued, but the emphasis shifted toward practical concerns: business development, social services, health care, public administration internships and teacher exchanges. 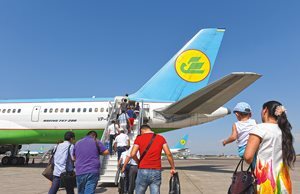 The long-hoped-for connection with Boeing bore fruit, too, when in 2004 the first Boeing 767-33 was delivered to Uzbekistan Airways—filled with scholarly books for a new University of Washington Research Center as well as donations of clothing and toys for Tashkent orphanages. Business delegations from Tashkent in 2008 and 2013 met with Seattle’s Trade Development Alliance, as well as with city officials responsible for issues ranging from water and waste management to recycling. Tashkent Deputy Mayor Ikrombek Berdibekov and Firuza Khodjaeva, deputy head of protocol at the Hokimiyat (city hall), led the 2013 delegation and recall the impressions of their stay in Seattle, from city landscaping to architectural styles to the development of emerging businesses. “We looked at everything, met with businesses and city officials, and brought back the best ideas that we thought could be implemented in Tashkent,” explains Berdibekov. A couple chats in the park framed by the sculpture donated in 1988 by Seattle artist Richard Beyer. “We can see that the activity between our sister cities is really developing during the years after independence,” says Khodjaeva, who has been the stcsa’s counterpart in Tashkent since 1998. “I would say that there is a difference in relations before and after independence,” she adds, noting that some of the earlier delegations and exchanges seemed more formal under the watchful eyes of the Soviets. Khodjaeva emphasizes that sister city relations have become more important than ever today for both Tashkent as a city and for the Uzbek national government. “We have many sister cities now, but Seattle is one of the best among them because we communicate more with each other.” Grateful for the warm reception her delegation received in 2013, Khodjaeva admits that she feels like Seattle has become her second hometown. 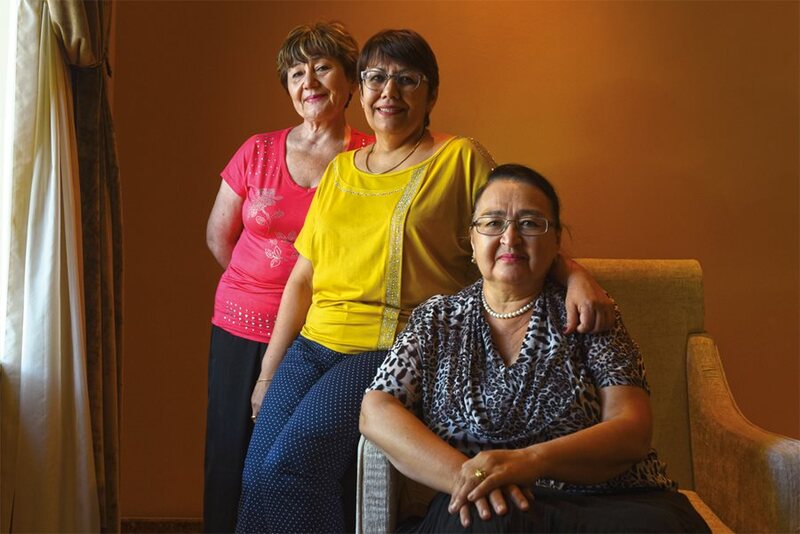 From old to young and comprising some 300 people, the Uzbek community that has grown in Seattle since the ‘70s is, in part, another result of the sister city exchanges. Each spring the stsca helps sponsor a community celebration of Navr’oz, a leading holiday in Uzbekistan. 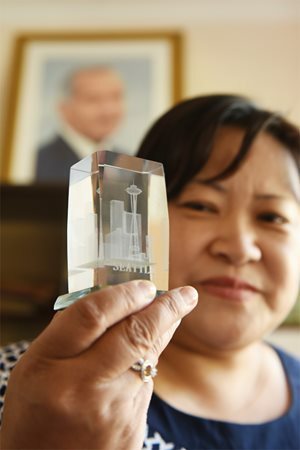 Dilbar Akhmedova, one of Seattle’s sister city migrants, says it is important not only for introducing Seattleites to her country, but also for helping Uzbeks who are growing up in the us to learn about their own unique culture of origin. During the week, he often stops by Babur Park to check on its upkeep and to see if any tiles need repair. 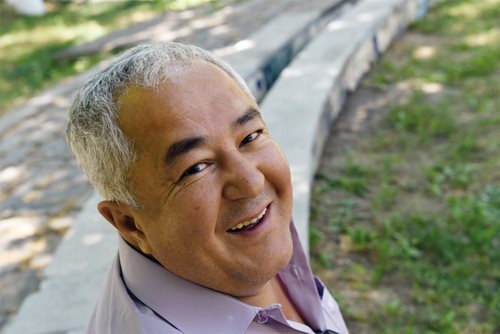 Miliyev recalls that the fate of the park was in peril after 1991 when the newly independent Uzbek government began to purge the city of all sites, parks and monuments that were reminders of the Soviet era. Plans to rebuild the park were thankfully scrapped, and Miliyev believes the importance of the Seattle-Tashkent relationship played a role in that decision. In addition to the embassy’s support, Peterson credits the Seattle City Council, the Tashkent mayor’s office, Cirtautas and the University of Washington, and of course the countless volunteers for helping the stsca to remain active. As a result, “our work has led to footprints in Seattle,” notes Peterson. 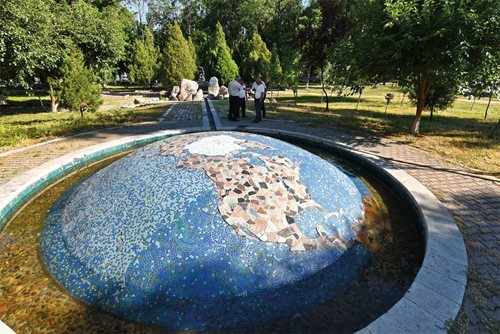 “We have a Tashkent Park, which is now being renovated and upgraded. Uzbekistan Airways is an all-Boeing fleet, and when their planes are produced in Seattle, they are a visible reminder for the workers about a far-off land. 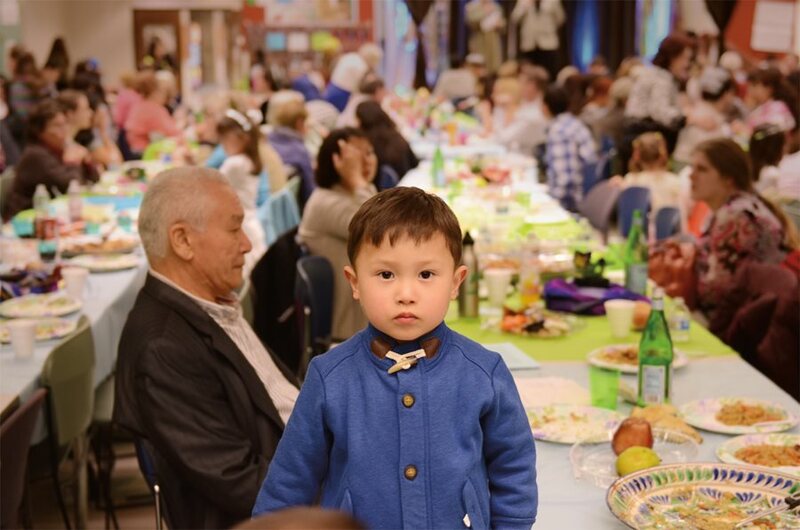 Lastly, sister city events such as Navr’oz [spring festival] and our annual picnic promote the Uzbek culture in Seattle”—as does Seattle’s growing Uzbek community itself. Since the ‘70s, Seattle has kept Tashkent Park on a hill above downtown, where a few dozen of the “10,000 Tiles for Tashkent” were also used. This year it is being renovated—a reminder that the 43-year-old sisterhood is alive and well. Today, neither city looks much like it did in 1973. Seattle boomed on computers while Tashkent thrived on independence; metropolitan populations now run 3.6 and 2.6 million, respectively. Tashkent Deputy Mayor Berdibekov points proudly to his country’s now-diversified industrial and agrarian infrastructure, to its independence and also to the success of his city’s 43-year friendship with Seattle. “Even in Soviet times in 1973, it was a great event to establish this relationship, and it has been wonderful for our city,” notes the deputy mayor. He adds that future plans with Seattle include sending a delegation of women entrepreneurs from Tashkent to Seattle, internships for Uzbek English teachers and organizing a trade exhibit of Uzbek products. Uzbekistan’s multi-ethnic culture is reflected in the faces on every street corner in Tashkent, a reminder of the many cultures that passed through the city when it was an important stop along the Silk Road. More than 100 ethnic groups co-exist in Uzbekistan, including Tajiks, Kazaks, Karakalpaks, Kyrgyz, Uzbeks, Tatars, Turkmens, Ukranians and Koreans, to name only a few, making Uzbekistan almost as much of a melting pot as America. The worn but still-gracious facades of 19th-century and Russian-influenced buildings are overshadowed by modern new construction such as the Amir Timur Museum and the Palace of Forums, Tashkent’s International Congress Hall. Bustling neighborhood bazaars with more than 3,000 vendors offer beautifully displayed rows of exotic spices, Tashkent’s famous melons, fruits and vegetables, meats, nuts and seeds as well as carefully arranged stack after stack of the famous Uzbek bread, non. 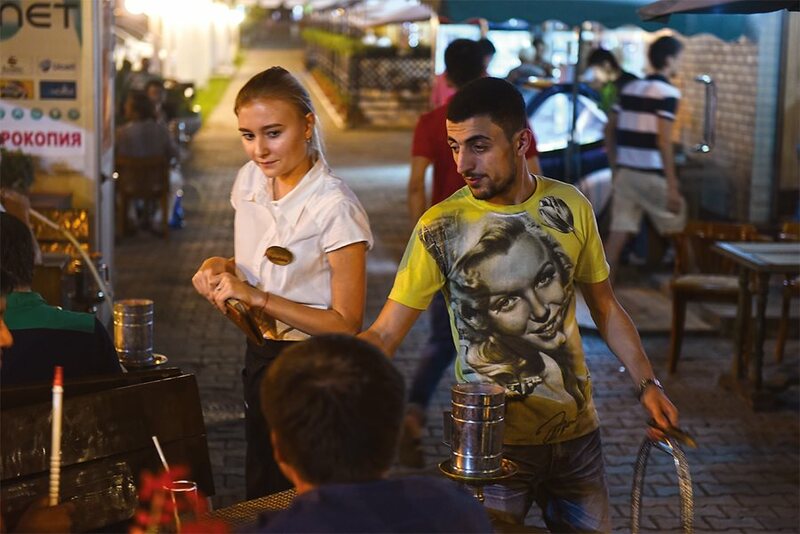 In the evenings, Tashkent’s sidewalk restaurants overflow and families stroll throughout the city. Children play beside the big fountain or dance with street performers in the open square across from the elegant Lotte City Hotel. Along Bratislava Ko’chasi, patrons wander into the Seattle Café and stop for tea. If they are lucky, owner Nazarov will pull out his albums and take them back in time to 1988, when the long distance between Tashkent and Seattle was bridged through friendship.